The Congress seems to be taking a leaf out of the Bharatiya Janata Party's book. In Uttar Pradesh, the party has made it mandatory for all ticket-seekers to have 25,000 likes on Facebook. In March this year, BJP national president Amit Shah had reportedly put this condition for ticket-seekers in the state. This had sent many ticket aspirants into a tizzy, as a lot of BJP leaders were not Facebook savvy. Even the Muzaffarnagar riots accused MLA from Shamli, Suresh Rana, had only 12,856 followers at the time. It is now learnt that Congress strategist Prashant Kishor wants a similar test for ticket aspirants' popularity before their names are finalised. The only problem is that the party itself does not have a noticeable presence on Facebook, with only 22,097 likes at the time this story went into print. 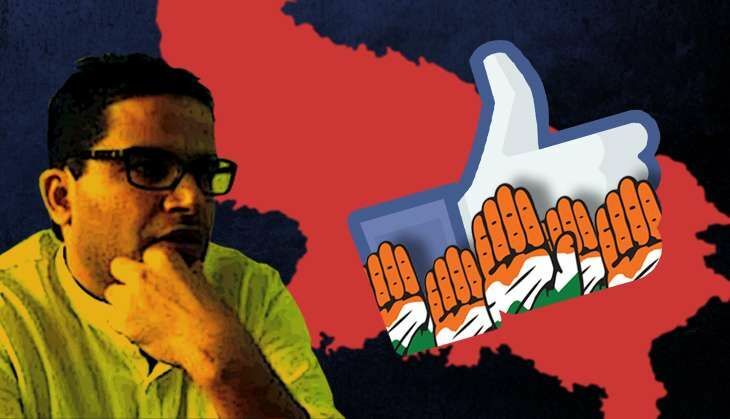 When this writer visited the party office in Lucknow, four youngsters in the verandah were busy asking a man if he was on Facebook, and if he would be interested in pressing the Like button for the Uttar Pradesh Congress. When asked about the poor like count, one youngster said that the number had improved since the last count. Shiv Panday, the party's organising secretary and in-charge of its Social Media Cell said: "Our party has been active on the social media for just one, one-and-a-half years, while others have been there for five-six years now. This figure of 22,000 is the actual number. These are all real likes, no fakes. And the number is increasing every day." About the criterion of 25,000 likes on Facebook, Panday said the old system of showing newspaper clippings to claim popularity was now less reliable than social media. "This condition was put after several of our workers claimed that they were doing good work in their constituencies and were, therefore, rightful claimants to a ticket," he said. "If they have a Facebook page showing the work they have done in their respective constituencies, getting 25,000 likes should not be a problem." But what if someone buys likes in bulk to wangle a ticket? Panday said there was an online monitoring committee to keep a check on fraudulent likes. He added that besides this criterion, prospective candidates had also been asked to provide the name and mobile number of one person at the booth level. "Whatever name and number he gives will be cross-checked by us," he said. Panday dismissed the charge that the party was copying the BJP in increasing its social media outreach. "It was Rajiv Gandhi who popularised computers in India; the other parties were nowhere on the technology scene then," he said. Highly demoralised after its recent defeats in Assam and Kerala, the Congress is looking at ways to avoid a complete washout in the UP Assembly elections next year. Sprucing up its Cyber Cell and demanding a face to lead the party are part of that strategy. A Cyber Cell team is in place, but the search for a face is still on. While strategist Kishor is rooting for Priyanka Gandhi to lead the charge in UP, the party high command is unwilling to reveal its hand.